The St. Catherine of Siena Parish complex consists of four buildings: the parish school (1913), convent (1926), rectory (1926), and the church itself (1929). All buildings are bacsically Romanesque in style, with some Byzantine elements. Here's the our members favorite photos of "Churches in Michigan". 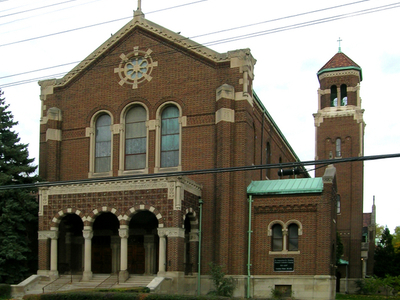 Upload your photo of St. Catherine Of Siena Roman Catholic Church!